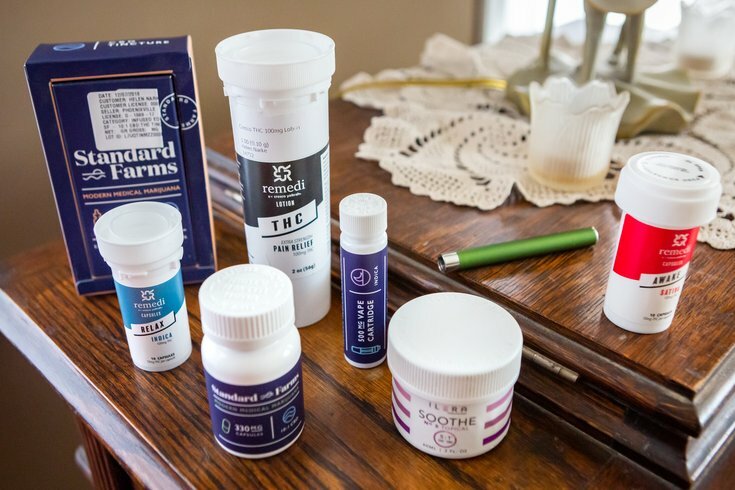 Various medical marijuana and CBD products that Helen Narke has considered for treatment of her chronic pain. As Dr. Lynn Bornfriend puts it, she was "absolutely no fun" in the 1970s and 1980s, when many of her peers were dabbling in recreational marijuana. "I didn't touch marijuana," said Bornfriend, a psychiatrist at the Cancer Treatment Centers of America in Philadelphia. "I didn't want to talk to people who did." "I burst into the apartment ready to intervene," Bornfriend said. "I found my mom sitting up. She was not in pain. She was not nauseous. She was not stoned. And she was eating." "It's just very interesting to me that I have done a complete 180," Bornfriend said. 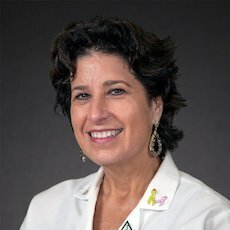 "As a physician, I think it needs to be accessible and available to patients. The fears that people have – I don't want to be addicted. Let's talk about the opiates and benzos that you're on." 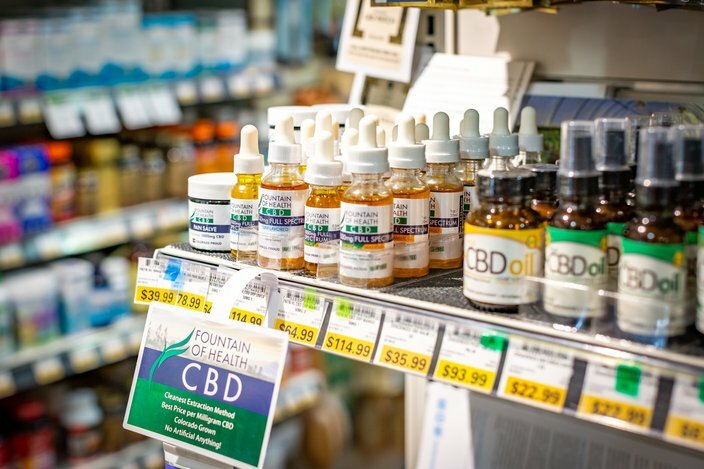 "What's available at the medical marijuana dispensaries in Pennsylvania is CBD that comes from the medical marijuana plant," explained Dr. Ari Greis, director of the Medical Cannabis Department at Rothman Orthopaedic Institute in Philadelphia. "You cannot buy a pure CBD product from a dispensary in Pennsylvania. Everything has some THC in it." "Not that the hemp-based CBD oils are all terrible, but there's not great regulation of what's going into it or what the percentage of it is," said Dr. Brooke Worster, who runs a medical marijuana clinic at Jefferson Health that has certified more than 400 patients since Pennsylvania's program launched last year. "We're not studying a single molecule, which is often the case in the pharmaceutical industry," Greis said. "We're looking at a plant that has potentially over 100 ingredients that might be causing therapeutic effect. That's one of the real interesting – and also confusing – things." 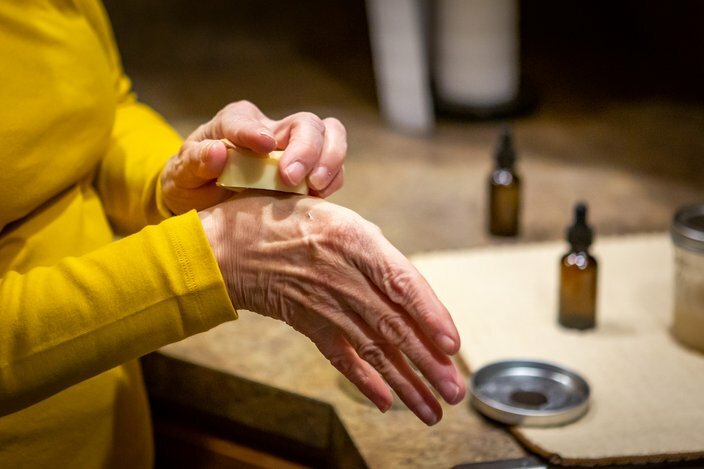 "Anything we know about CBD for pain comes from research where you're not just looking at pure CBD," Ward said. "You're looking at the combination of THC and CBD and various components of the plant. Everything else we know is all anecdotal from people." "We want to know all of this in various clinical populations," Ward said. "Hopefully, the funding opportunities – both the financing to do it and the legal issues – will be better, so that we can answer the question much better." 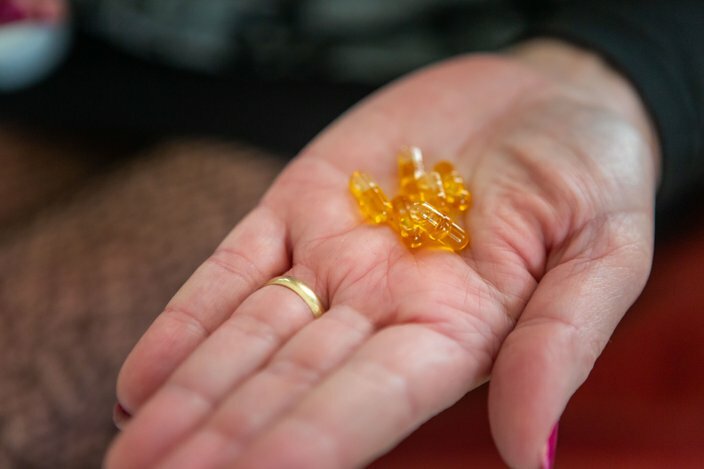 "There's a greater number of patients that try hemp CBD and do not get any therapeutic benefit and then go on to try medical marijuana, where they get THC, plus CBD and a bigger variety of minor cannabinoids and terpines," Greis said. "From a pure pain relief standpoint, it seems like THC is one of the more important ingredients." "What we're seeing is a lot of people experiencing at least modest improvements in their pain," Greis said. "There's very few people that say it completely takes [their] pain away. But there seems to be a lot of people who say, 'I recognize I still have an arthritic back, but it lessens it so that I can function better.'" "What's been surprising to me is that I very rarely get phone calls from medical marijuana patients complaining of side effects," Greis said. "I get phone calls on a daily basis from patients who are starting off on new pharmaceuticals that are associated with dizziness." "Chemo, you're going to have pain," Bornfriend said. "You're going to have nausea. You're going to have the GI irritable bowel stuff. It's a tremendous cause of peripheral neuropathy. Just going on and on and on – those are all symptoms marijuana helps." "Traditional medicine is much more (that) the doctor will give you a prescription for X amount for X amount of time. This is more of finding what works with the individual's body chemistry." – Ryan Smith, COO of dispensary operator Cure Pennsylvania. "I really have started to see medical marijuana as another drug that has potential benefits and potential risks," Greis said. "By dosing it properly, it can oftentimes minimize side effects and allow people to function better with at least modestly improved symptoms." 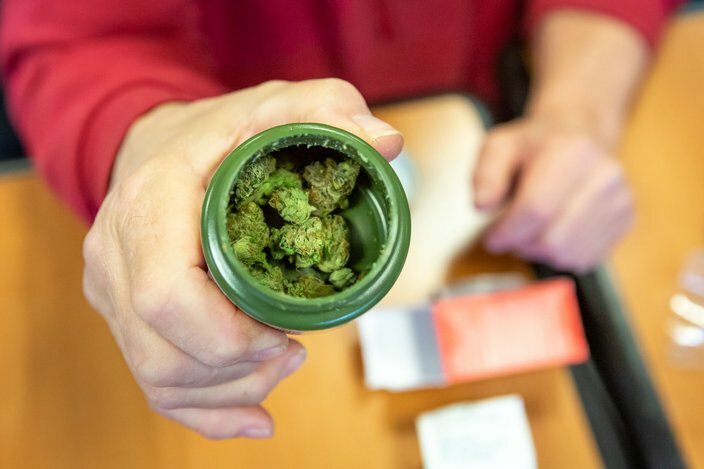 "Traditional medicine is much more (that) the doctor will give you a prescription for X amount for X amount of time," said Ryan Smith, chief operating officer of Cure Pennsylvania, which operates three dispensaries. "This is more of finding what works with the individual's body chemistry." 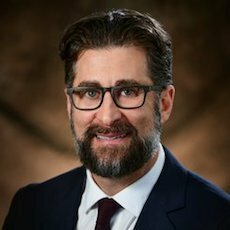 "I try to give a lot of specific guidance and arm my patients, especially my elderly patients, with exactly what they should go in there looking for," Worster said. "We don't know enough to say everybody starts at 5 milligrams," Worster said. "It's very individualized." "In most cases that seems more like a recreational thing to do than a medicine," Bornfriend said. "Usually, when you're using medicine, you're looking for a result pretty quickly."